This article will focus on pillar C – Asset & Liability Management Optimisation. As part of its core function, Treasury needs to optimise the Banking book, minimising the market risk impact on it. 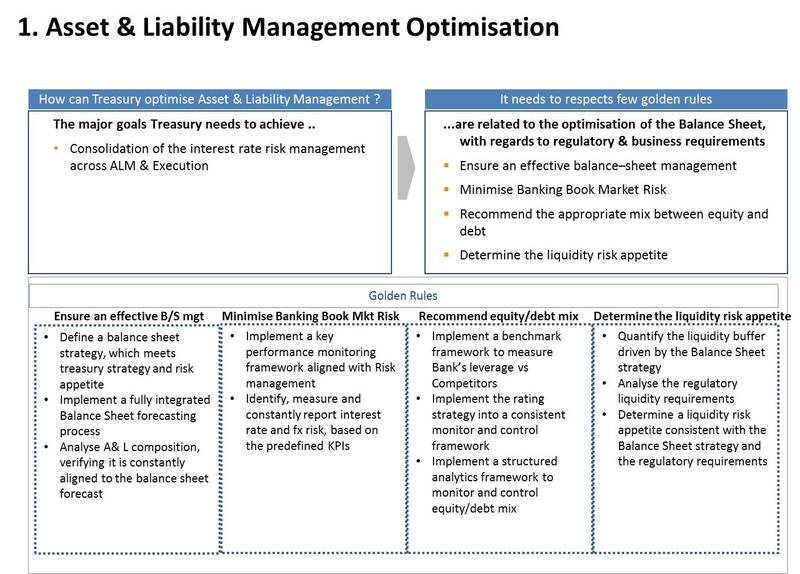 In previous article we defined as main targets the consolidation of the interest rate risk management across ALM & Execution (Treasury FO), which I will deep dive into.